Presented by: Eat Boston and OFFSITE. UpdateInformation on the 2016 Tacos and Tequila event can be found here. 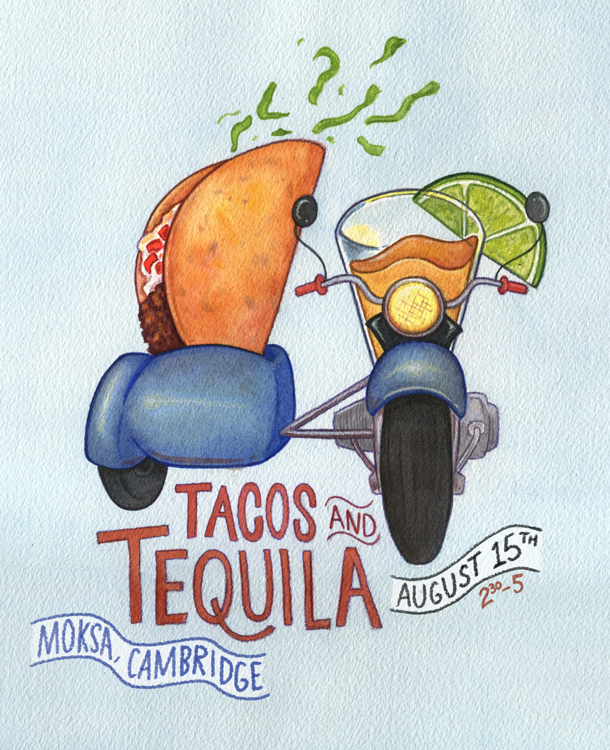 Tacos and Tequila, a showcase of your (new) favorite tequila and mezcal, will be August 15 from 2:30-5PM at Moksa. We'll also be featuring an educational Tequila 101 class scheduled before the main event (11:45am-12:45PM). Noted spirit educator, and published author David Alan will be flying in from Austin to lead an educational tasting to provide you with a strong foundation in Mexican Spirits. From 11:45am-12:45pm you'll get a primer of the various categories of agave distillates as well as an introduction to the history, geography and chemistry of this fascinating category. Attendees of the class will leave armed with a foundation of knowledge to build upon during the Tacos & Tequila sampling event that afternoon. You can RSVP and invite your pals by clicking here. At the main event, there will be a great group of tequila producers and suppliers explaining the distillation process. If you like cocktail demonstrations and tacos, you're in luck - we've got those, too. With a ticket, attendees will have the opportunity to sample 12 of the tequilas, attend the cocktail demos, and enjoy the tacos. Did we mention the tacos? Moksa will be making some delectable tacos! Tickets are on sale right now! In the meantime, you can sign up on the mailing list for more information. Here's a list of tequilas and producers represented at Tacos and Tequila. This will be updated over the next week or so. SOLD OUT! One ticket to Tacos and Tequila and the Tequila 101 Class. SOLD OUTTwo tickets to Tacos and Tequila and the Tequila 101 Class.